There haven’t been many moments in my life where I’ve thought ‘Oh God, I might die here’. Admittedly there have been plenty of times (often on stunning white sandy beaches or at Michelin starred restaurants) where I have thought, ‘Oh God, I could die here’, which is, of course, a totally different thing. But no, I haven’t feared a great deal for my life in the past – well, apart from the time a load of ladders flew off the top of a van while I was driving about 70 mph on the M25. That was quite scary. And then there was the time that Matty, the Mongoose and I hired a car to drive around Lebanon. The Mongoose, aka Donagh, is our travelling buddy who we met many years ago in Australia and have since shared some wonderful adventures with. And Lebanon was definitely one of them. 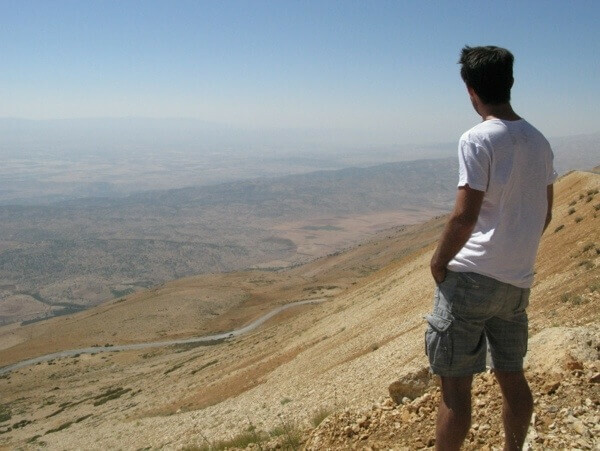 An intoxicating mix of complex history, the friendliest people on earth and an uncertain future, Lebanon often feels like it’s just a day away from another bloody and horrendous war. Vulnerable and volatile, housing thousands of refugees and the infamous Hezbollah, many watch the little country closely, arguing the first sign of trouble in the Middle East will be seen here. Nevertheless as you stroll its beautiful towns and villages, scattered with some of the largest and most impressive Roman ruins outside of Rome, it is hard to feel afraid. 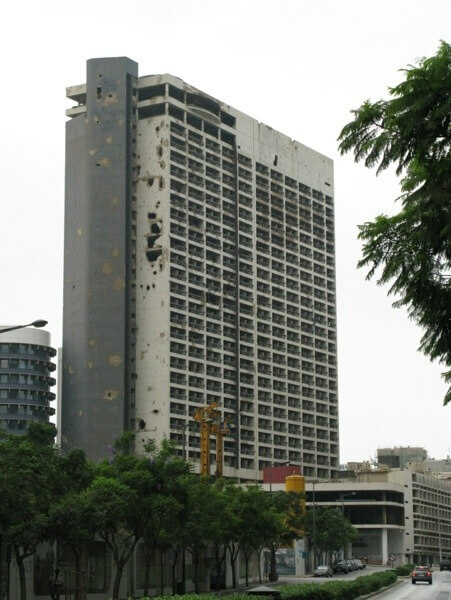 Today Beirut is heaving with funky bars, clubs and cafes and is home to a burgeoning bourgeoisie, but the gunshot-wounded buildings serve as a stark reminder of the bullets that fell like rain as recently as six years ago. (In 2006 the Israelis and Hezbollah engaged in a 33-day war, which saw Hezbollah fire a hail of rockets into Israel and the Israeli’s bomb towns and villages across Lebanon – after eight Israeli soldiers had been kidnapped and killed by Hezbollah. And that was just a flash in the pan after the 25 year-strong civil war that ripped through the country until the early 1990s). ‘The Lebanese do not save their money,’ one girl told me in a Beirut bar. Nevertheless, it was not a country we travelled timidly. 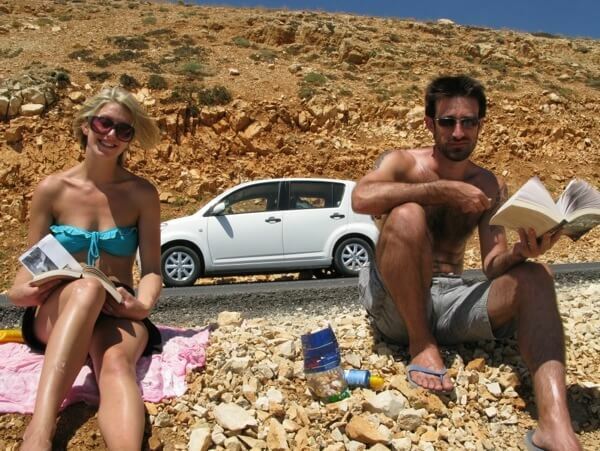 We were there in September 2010 and felt surprisingly safe, embracing everything it had to offer – in our little white hire car. We had been grounded in Bcharre, in the gorgeous World Heritage listed Qadisha Valley, for a few days because Matty had been struck down with the inevitable stomach bug that he always insists on getting whenever we visit foreign lands. 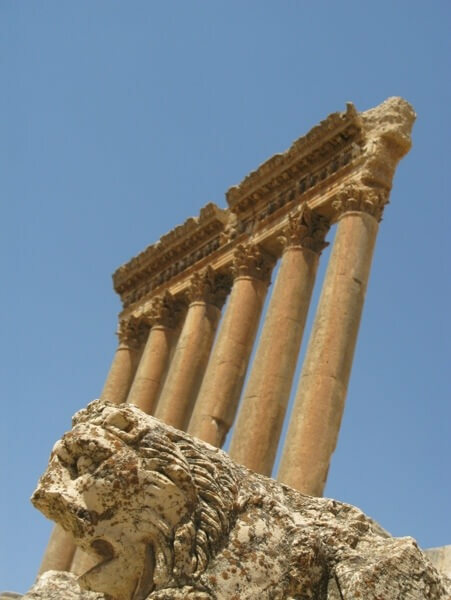 But eventually we convinced him to make the short drive over the mountain range and Bekaa Valley to Baalbeck, land of the impressive Roman ruins. (The Mongoose doesn’t drive and we had decided not to put me on the licence for health and safety reasons), so Matty tensed his stomach and off we set. It was a stunning drive, and as we weaved up one side of the mountain we were rewarded with magnificent views. We reached the top and slowly began to zig-zag down the other side. Or at least that was the plan. After one small zig, before we could begin to zag, we hit disaster. In the form of rocks. The crumbling mountainside had gathered on the roadside and we had driven right over it. 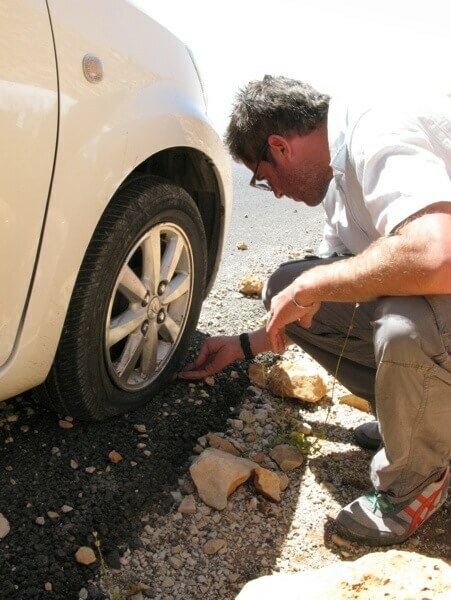 Almost immediately we heard the tyres pop and realised we were no longer in control of the car. Slowly Matty brought it to a stop and we surveyed the damage. The front and rear right-hand tyres were completely flat. It soon dawned on us that we would not be able to get the car down the mountain, we were well and truly marooned. Then we realised we only had about half a litre of water, a few scraps of food, no shade and no real idea of what to do. So we took some pictures. The boys wandered down the road a little way to try and assess how long it would take to walk to safety. It was only about 11am but the winding road looked endless and with so little to eat and drink, we decided not to risk it. We rang the hire company and were told that lo and behold, we had breakdown cover and that they would send someone from Beirut. It would take a ‘couple of hours’ but to just sit tight, help was on the way! So we got our books and sarongs out and perched on the side of the mountain to enjoy the view. Well at least the Mongoose and I did, Matty was clutching his stomach, looking longingly at our half-empty bottle of water (and yes it was very half-empty, there was no half-full about it) – and worrying his next toilet trip. As we lay there soaking up the rays, the occasional truck would drive past, crowded with men with large guns sticking out the side. We flinched a bit when the first couple drove past but soon got used to them, some even stopped to chat, clearly bemused to find tourists sunbathing on the mountainside. After about two and a half hours we called the car hire company. ‘Yes, help is on the way,’ they assured us. An hour later we had the same conversation. And after another hour passed we were told they were nearly here. Then like a gift from the Gods, a man pulled over over and opened his boot to reveal rows and rows of sweet, sticky nuts and dried fruits. A food delivery! We hungrily gazed at the treats, sampling a handful of different nuts before enquiring about the price. He wanted to charge us about £10 for a bag of nuts. We laughed and we sneered, we used all of our finest tactics to haggle him down. It didn’t work. We were stuck on a mountain, he had us cornered and he knew it. Disgusted and hungry, I took my mountain seat once more and waved him off. I would not pay £10 for a bag of nuts – even if it was the last thing I did. And I started to wonder if it might be. We called again. This time we were told our mountain-rescue-chariot was lost. ‘There are many roads over the mountain,’ the lady at the car hire shop told us. But it seemed to fall on deaf ears. Meanwhile, the water was running dangerously low and I started seeing cashew nuts on the horizon. The sun was getting lower in the sky. We made a few more calls and had the same sort of conversation. And we sat. And waited. And finished our water. And then suddenly, just as the day was turning into dusk, our chariot arrived. We were being rescued! I practically hugged the spare tyres that he carried out of the van and danced around him as he wrenched up the car and removed our deflated rings of rubber with ease. After hours of waiting we were back up and running. Hungry and thirsty we were keen to finish our journey to Baalbeck in time for dinner. ‘You cannot go down this mountain now, it is too dark,’ our rescuer explained. ‘Dangerous people on this side of the mountain at night’, he said pointing down the roadside. He explained that we were actually now in Hezbollah land and must leave as soon as possible. Realising for the first time that we may have actually been quite lucky, we nodded in agreement and followed our rescue chariot back the way we had come. Choosing not to go back to Bcharre, we stopped off at the Cedars, a ski resort that was a little closer and home to the country’s famous Cedar trees – a national emblem that can be found on the Lebanese flag. It was a balmy summer’s evening and the ski resort had a real ghost town feel to it. As we gingerly stepped inside an empty little restaurant, which had walls covered with framed pictures of skiers, we found a man who greeted us like his first guests since the snow had melted. We took over a large table in the corner and the happy restaurant owner, once a famous skier he told us, covered every inch of it in mezze dishes. It was a feast for Kings. There was rich, creamy hummus, marinated barbecued meats, delicious salads, soft warm breads, stuffed vine leaves, the smokey flavours of baba ganush (a tasty combination of mashed Aubergine and olive oil) and much more. 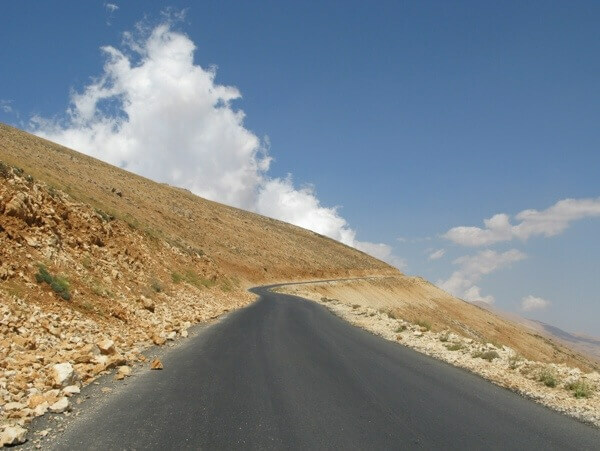 The next day we managed to make it to Baalbeck, and about five days later we returned to Beirut where we were staying with a friend of the Mongoose’s. ‘Good to see you’ve made it back ok’ he said as he opened his front door. ‘Did you hear what happened to the tourists on the mountain?’ He asked. We thought it was a stitch up. But it wasn’t. About 24 hours after our escapade a couple of Polish tourists had been kidnapped from almost exactly the same spot. They were thrown into the back of a car and because the driver failed to stop at one of the many police patrol checks that line the roads in Lebanon, the police opened fire on them. The police killed the driver but remarkably the Polish tourists, although shaken, were unscathed and freed. It was hard to swallow. Later that night, as we sampled some of Lebanon’s fine wines in one of Beirut’s funky little bars, we reflected on how unbelievably lucky – and incredibly stupid we had been. But actually I hadn’t really feared for my life once up that mountain. 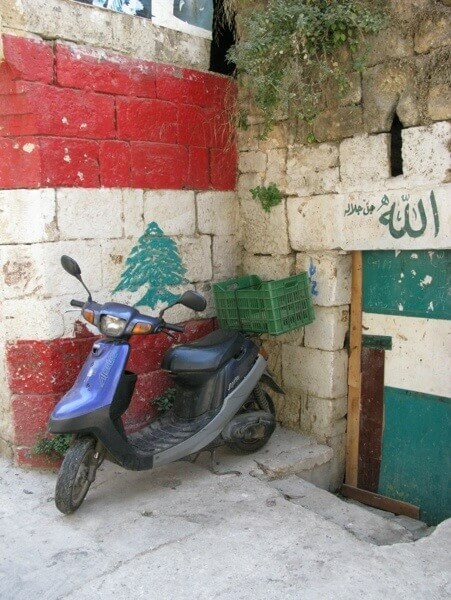 It’s so easy to feel safe in Lebanon and forget about the conflict that is bubbling away under the surface. The mounting volatility is well disguised and hides behind the sheer beauty of the country and its kind warm-hearted residents, who will invite you in for a cup of tea or drive you 10 miles to find your lost camera (yes that happened) without wanting anything in return. On the other hand, the M25 is just plain dangerous.